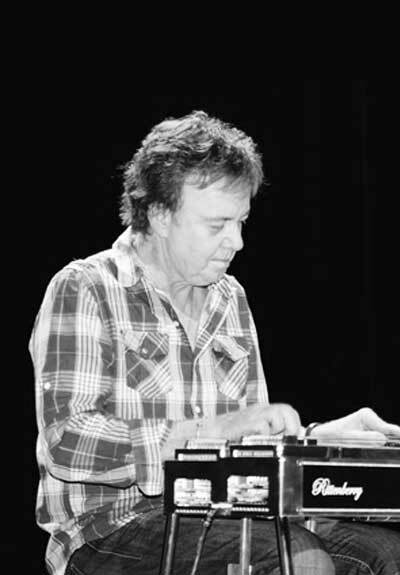 Ed (whose nickname ‘Pee Wee Charles’ comes from his 16-year stint with Gordon Lightfoot’s band) is a master of the pedal steel guitar. He has been nominated for Steel Player of the Year by the Canadian Country Music Association over 10 years and took home the award in 2011-13 and this year in Edmonton at the 2014 CCMA Awards. Ed was featured in 2014 February issue of International Musician magazine. He has worked with some of the biggest names in Canadian music and toured worldwide playing in some of the most prestigious music halls: Royal Albert Hall, London…Carnegie Hall, New York….Los Angeles Amphitheatre, Hollywood Bowl, Greek Theatre, LA……and many more…. With Gordon Lightwood he toured 16 years from 1974 to 1989.